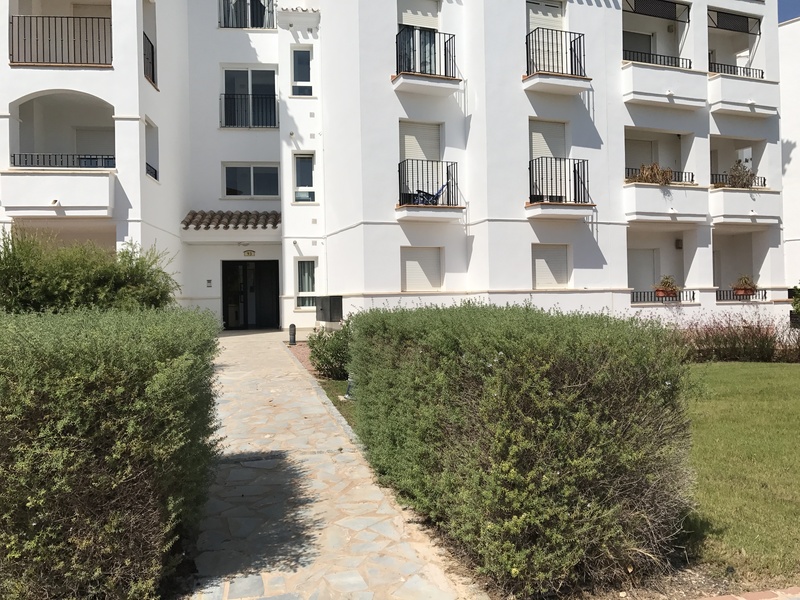 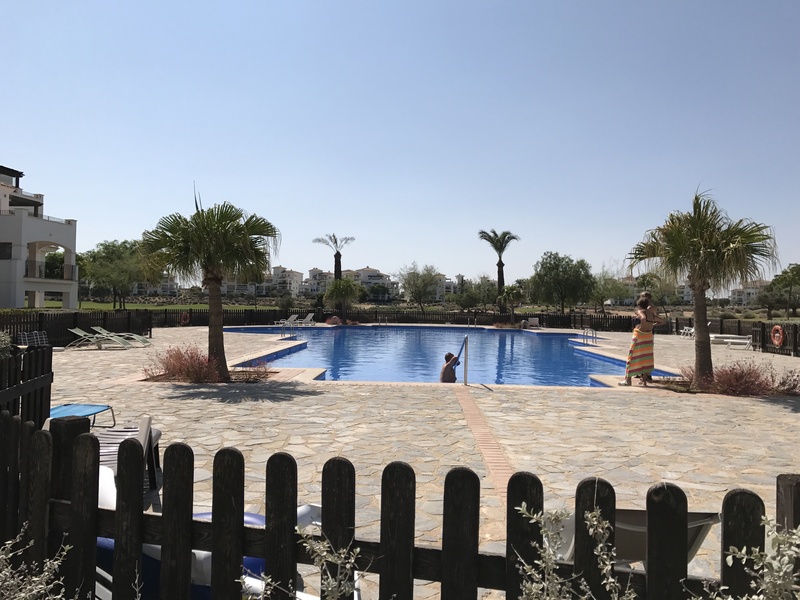 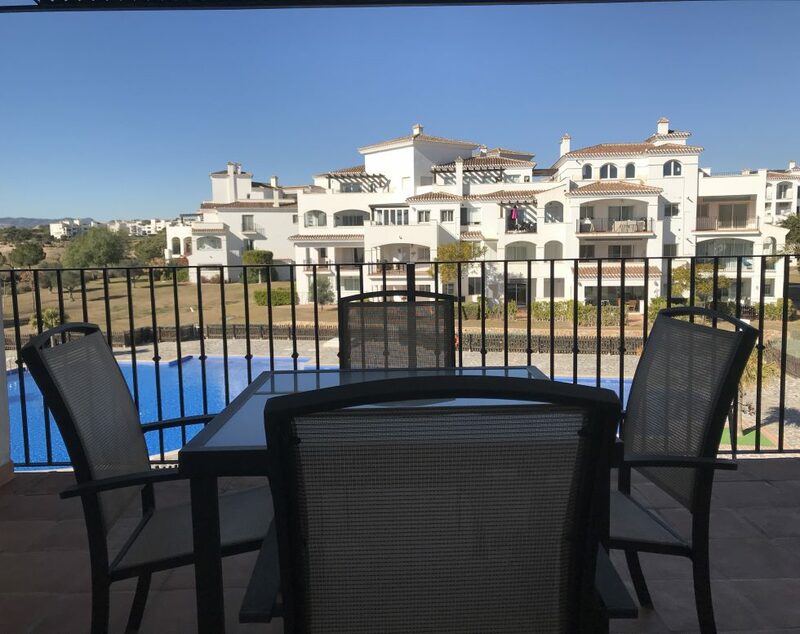 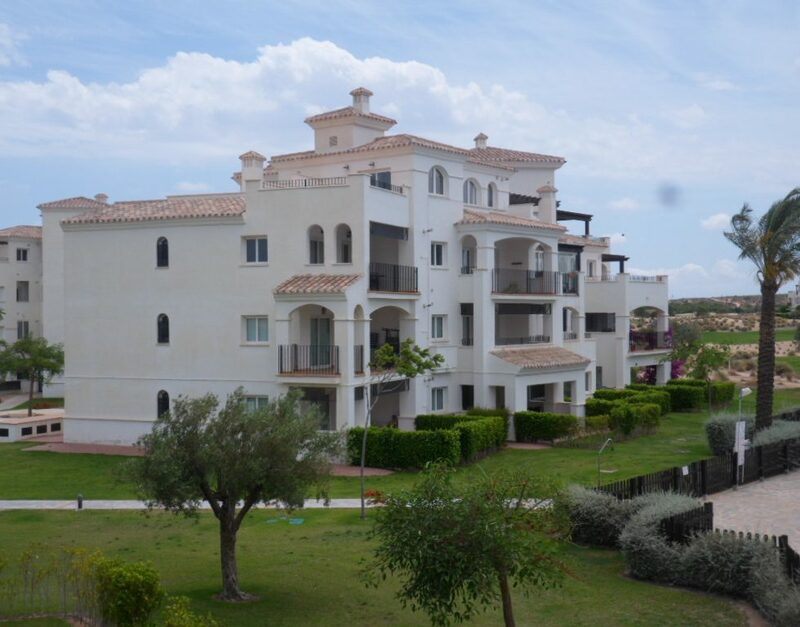 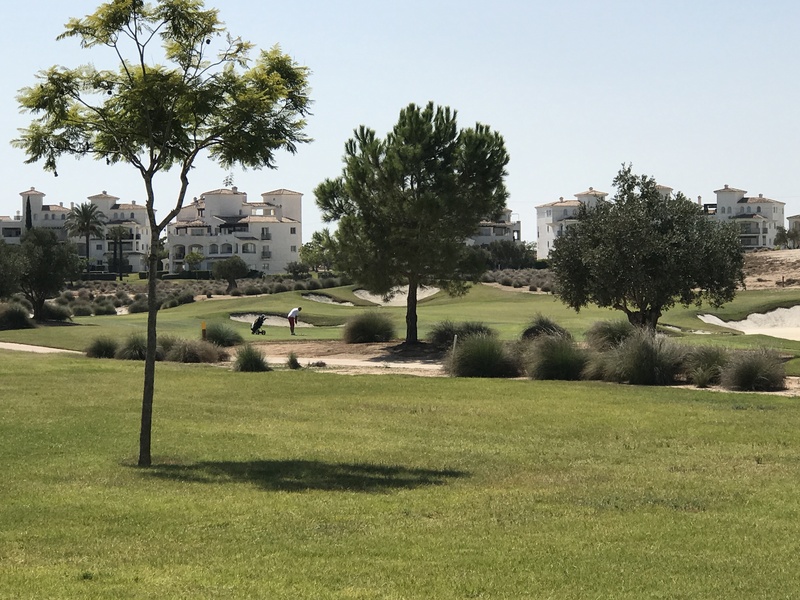 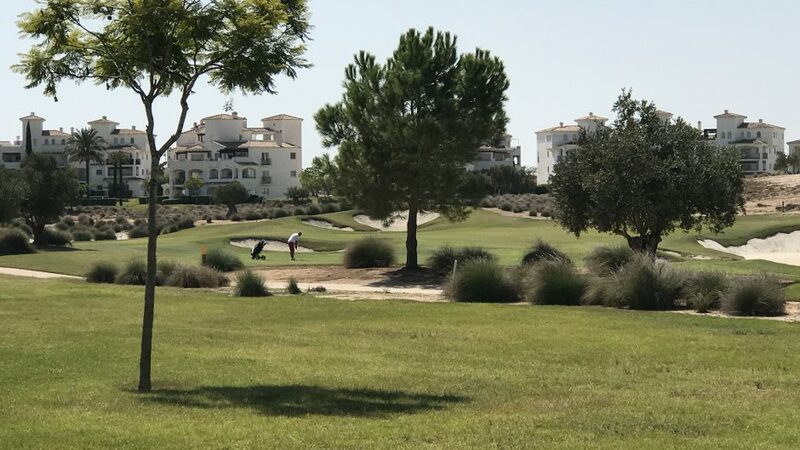 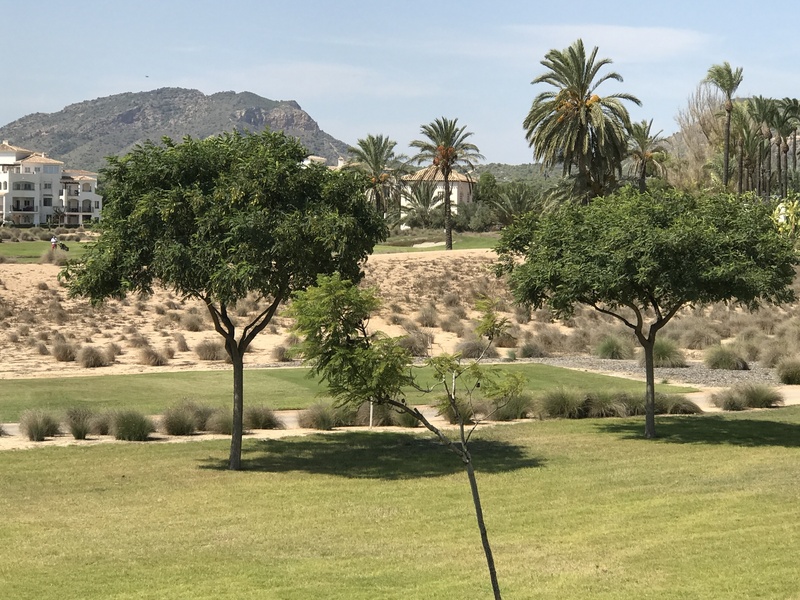 This well presented First Floor Apartment is located on the five star Golf Resort of Hacienda Riquelme in Murcia. 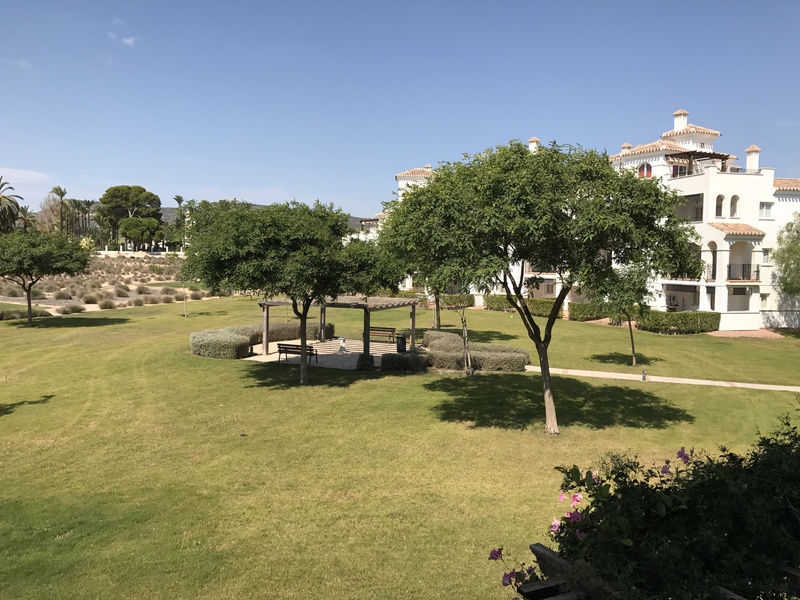 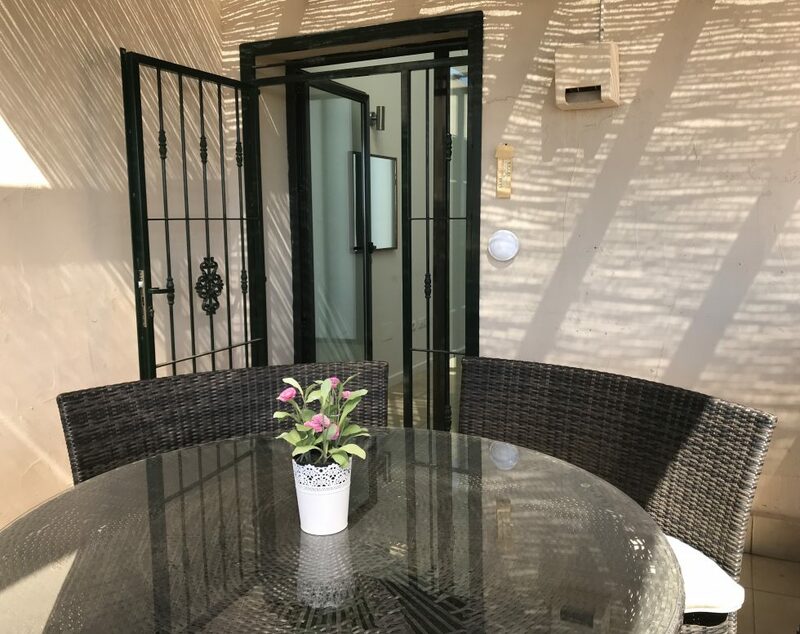 The property is being sold fully furnished and benefits from wonderful views of the Golf Course and communual Swimming Pool Area. 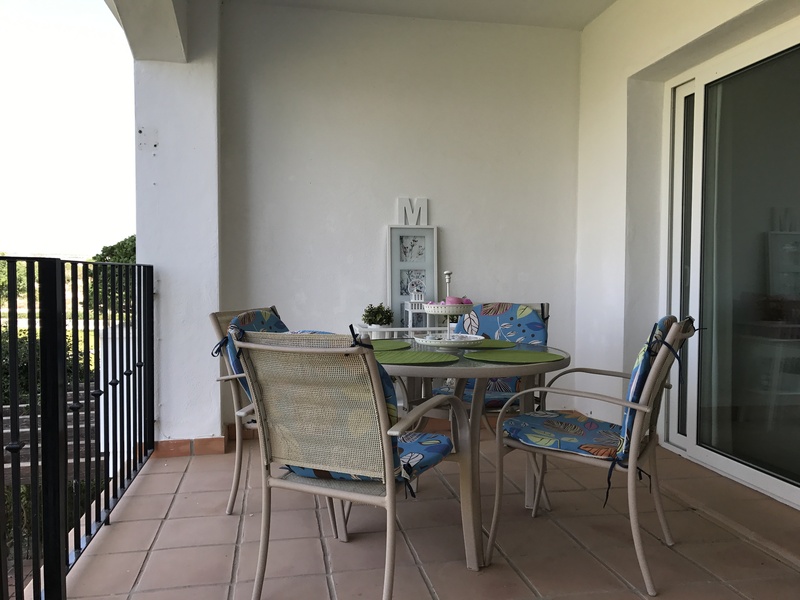 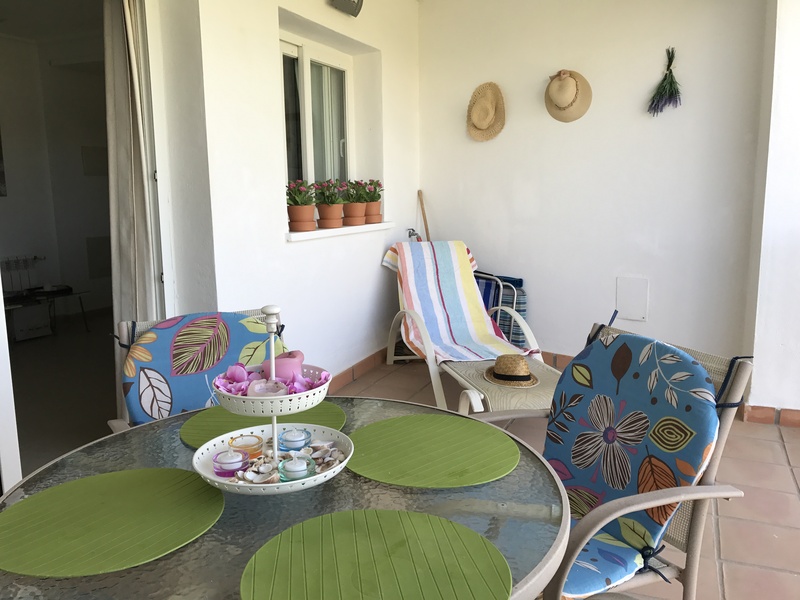 The Property features a good sized open plan Lounge/Dining area with patio doors leading out to the terrace. 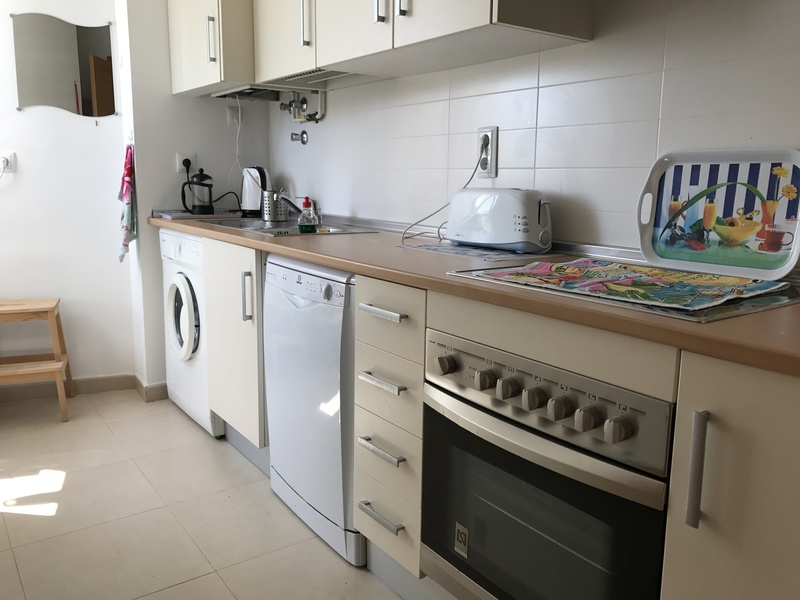 The seperate Kitchen is well equipped. 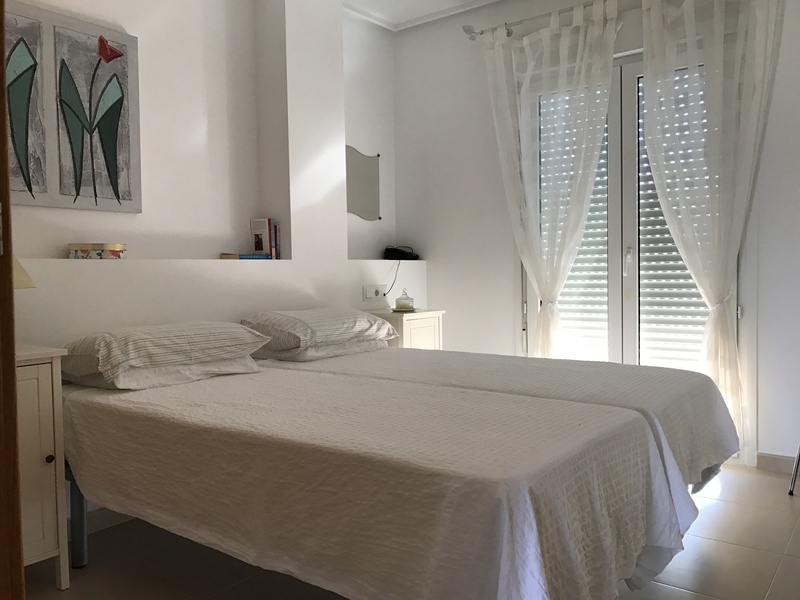 Both bedrooms are fitted with wardrobes and there is a family bathroom. 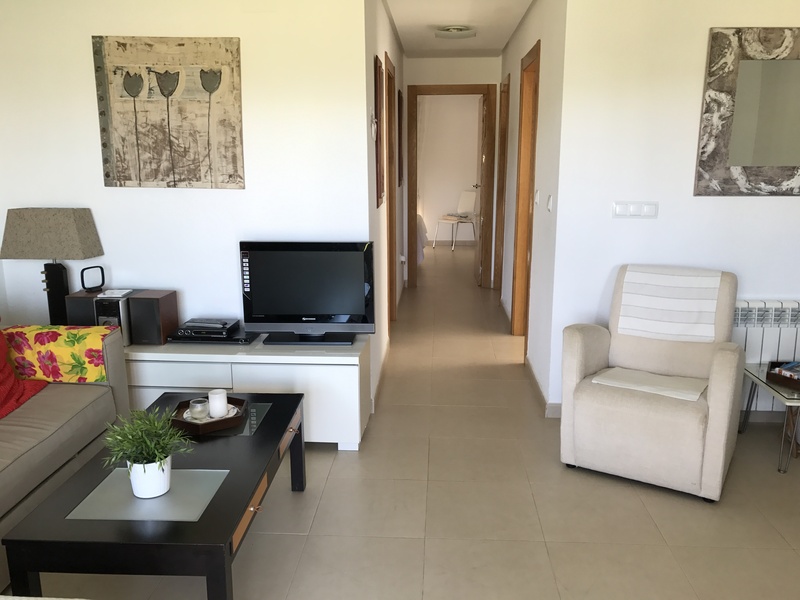 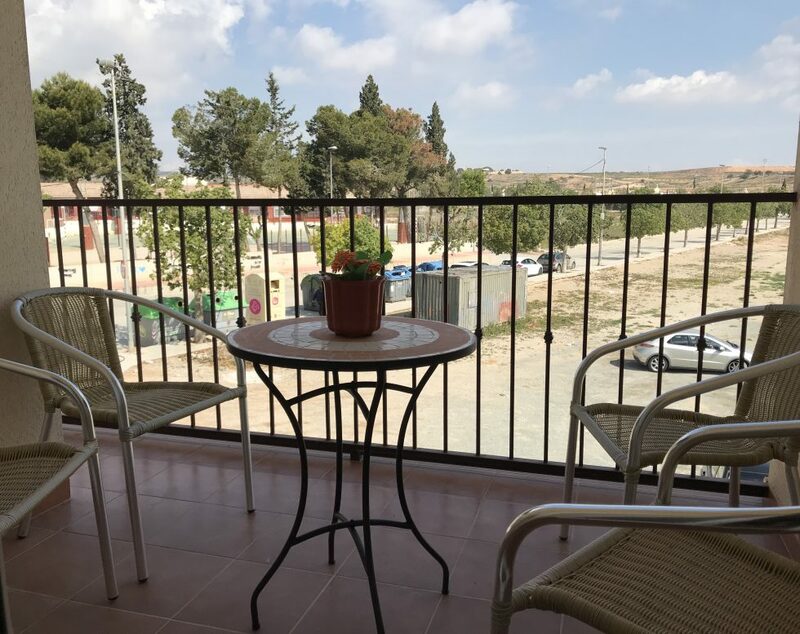 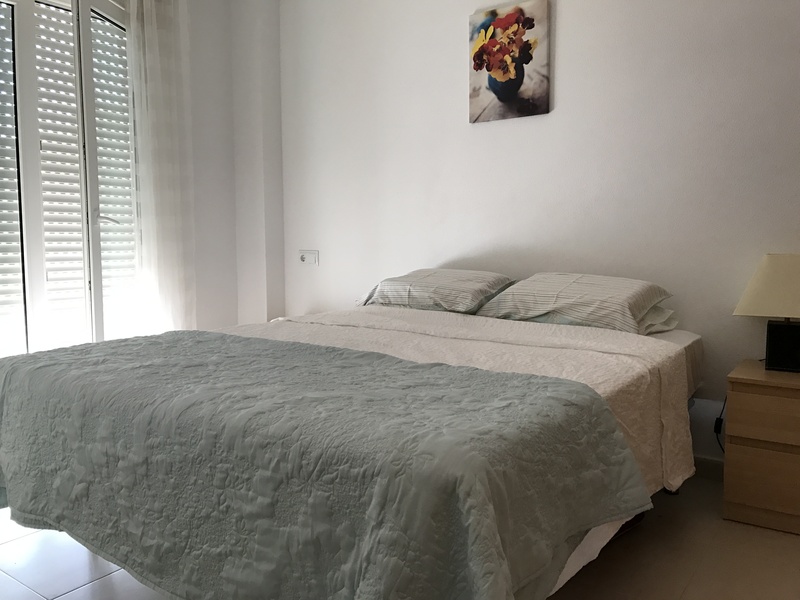 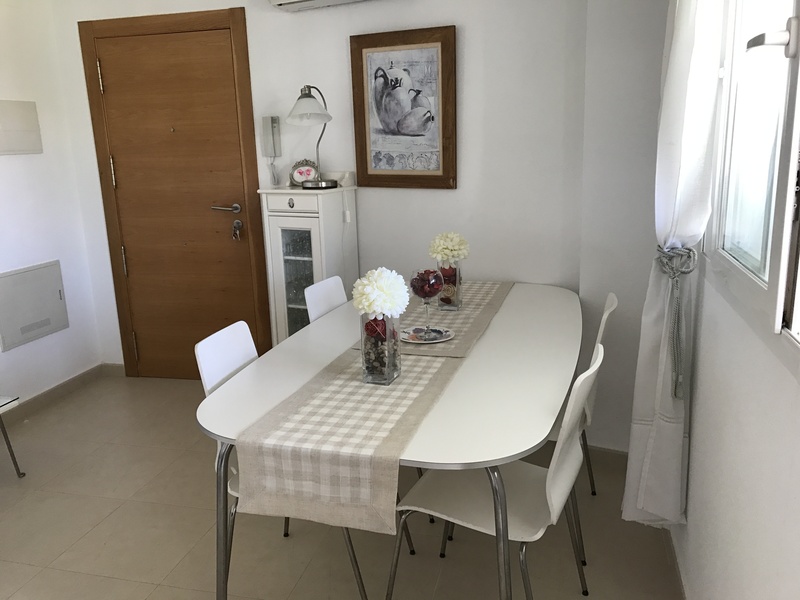 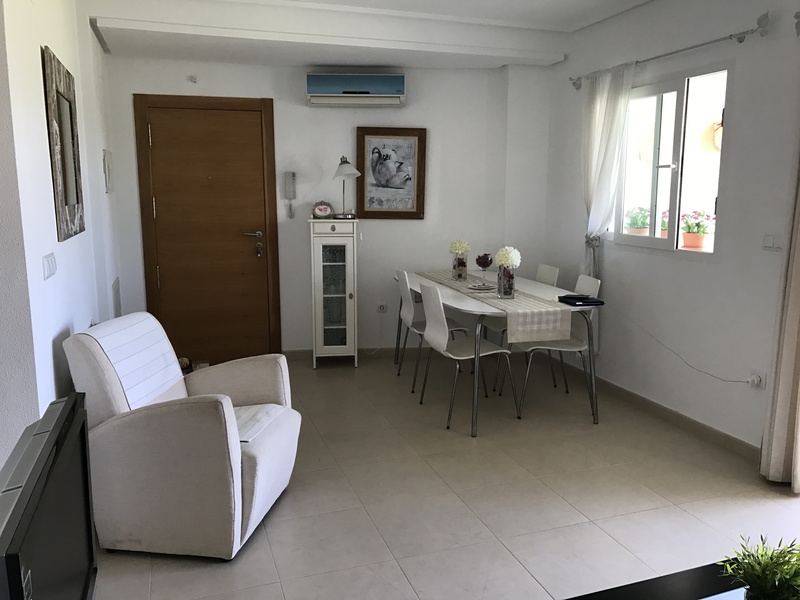 The Apartment also benefits from Air Conditioning, Central Heating and private garage space. 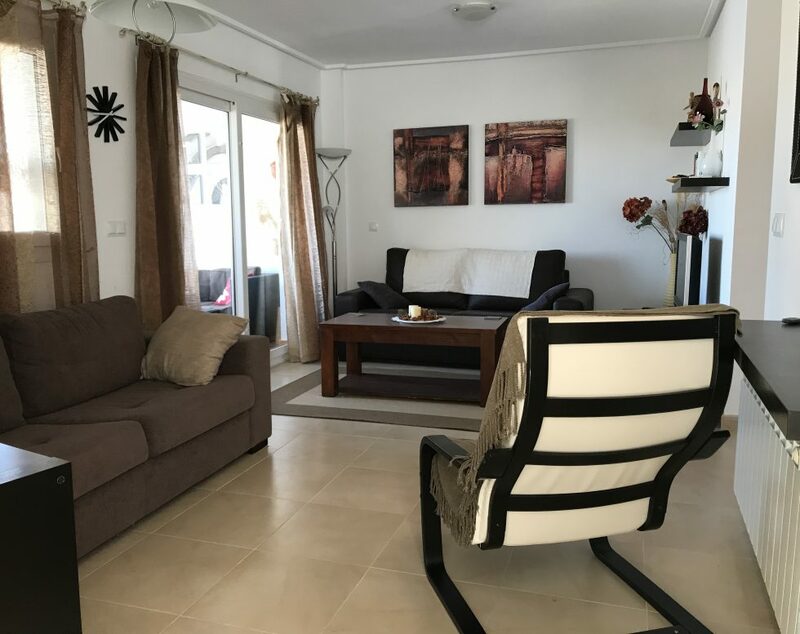 This Property is being sold fully furnished.